Through the dedication of the Smoky Mountain Air Show Partnership and the overwhelming support of the people of East Tennessee and surrounding states, we were able to raise $350,000 for HonorAir Knoxville! 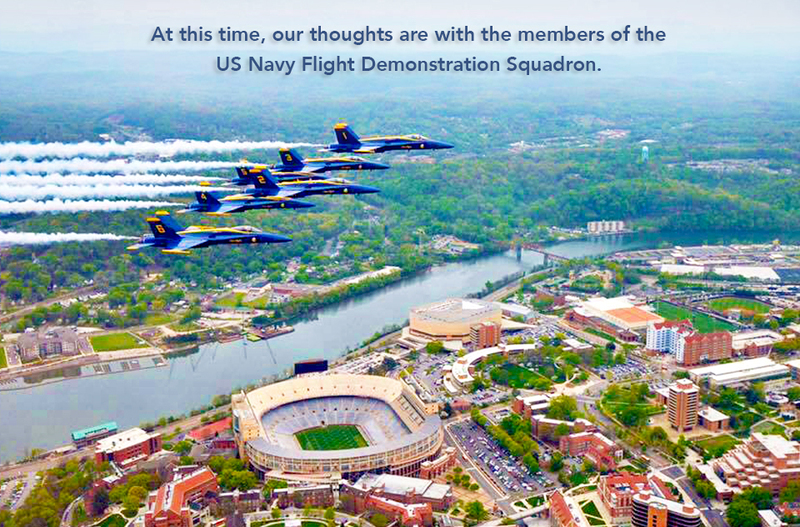 The Smoky Mountain Air Show is deeply saddened about the loss of The U.S. Navy’s Blue Angels’ Captain Jeff Kuss. Our thoughts and prayers are with Capt. Kuss’ family, the US Navy Flight Demonstration Squadron, and their family and friends. We want to say a huge thank you to everyone who came out to the Smoky Mountain Air Show! We appreciate the amazing support from the community and the opportunity to honor our local military and veterans. Air Show Schedule, Maps, and More! Final Discounted Parking Pass Sale: Happening Now! Parking passes are per vehicle, not per person. They’re valid for one day only. Proceeds will benefit HonorAir Knoxville! Parking passes can sell out (most of Saturday already has! ), so if you haven’t already, purchase your pass today! With an aerial lineup made up of some of the most famous and talented performers in the business, spectators at the Smoky Mountain Air Show are in for a heart-pounding show. 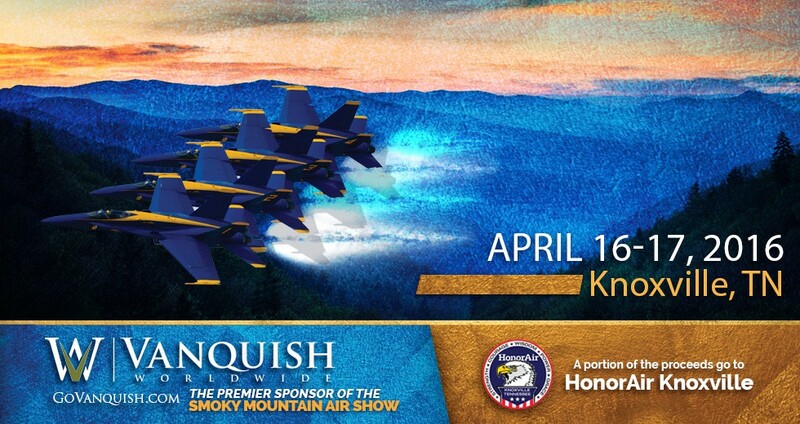 In a ceremony on February 23, an industry-legend and the official voice of the Smoky Mountain Air Show, Rob Reider, unveiled the official line up for the 2016 show announcing six aerial acts that will join the US Navy’s Blue Angels in Knoxville. Greg Koontz has been in the air show business for more than 40 years. He has performed in more than 350 air shows dazzling crowds with his trademark aerobatic maneuvers. Younkin Airshows continues the legacy of Bobby Younkin and features Matt Younkin’s Beech 18 aircraft performing aerobatic flight maneuvers it was never designed to do. The Commemorative Air Force Dixie Wing teaches spectators about WWII aviation through living history. They are dedicated to restoring and preserving historical military aircraft in flying condition for all generations to enjoy. Aeroshell Aerobatic Team has been performing in air shows all over North America for more than 25 years. The precision AT-6 Texan flight team performs captivating maneuvers in tight formation. Jacquie Warda, aka Jacquie B, launched her solo aerobatic career at the young age of 50. With more than 2,800 flight hours and more than 1,000 air shows behind her, Jacquie is sure to entertain and inspire. The F-16 is a compact, multi-role fighter aircraft. It is highly maneuverable and has proven itself in air-to-air combat and air-to-surface combat. It provides a relatively low-cost, high-performance weapon system for the United States and its allies. 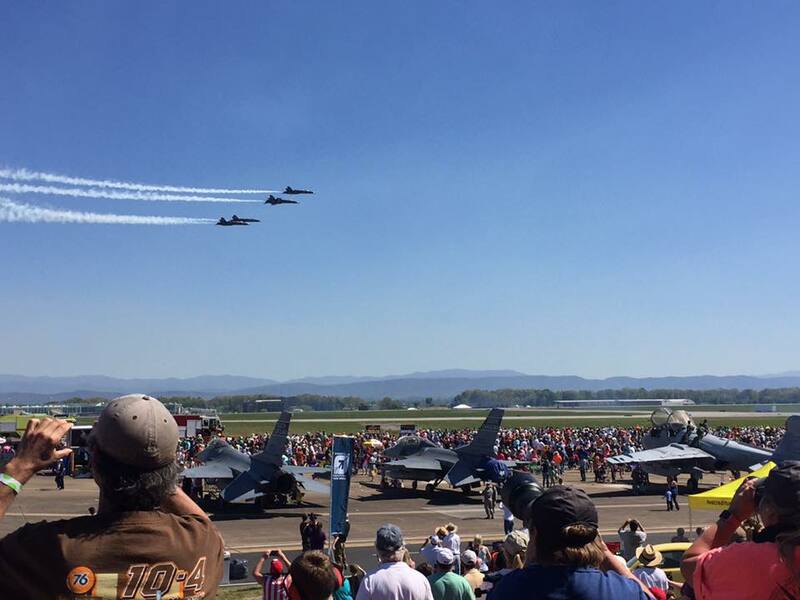 The sky isn’t the limit for the Smoky Mountain Air Show. When spectators aren’t marveling at performances in the air, they can enjoy more than 20 static displays on the ground. A wide array of aircraft will be represented giving all those who attend a great view of aviation throughout history. Click here to view a full list of displays. 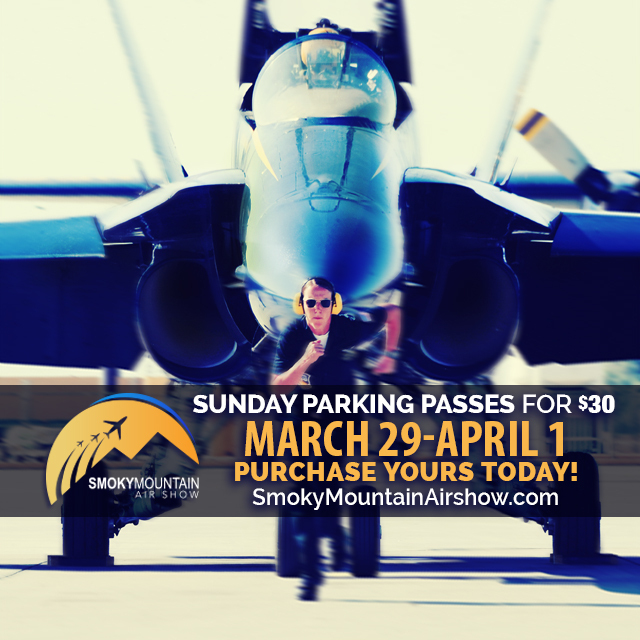 Follow Smoky Mountain Air Show on Facebook, Instagram and Twitter to stay up-to-date on all-things air show!